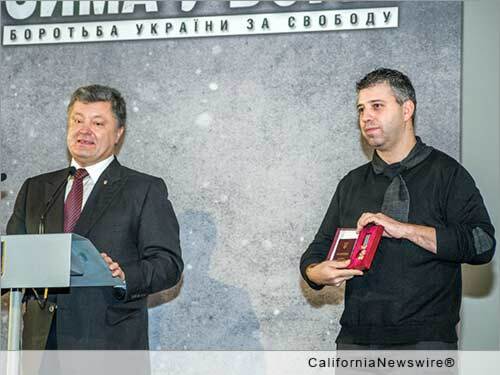 LOS ANGELES, Calif. /California Newswire/ — American-Russian Business Council (ARBC) is pleased to announce that its member and director of the Netflix original documentary "Winter on Fire: Ukraine's Fight for Freedom," Evgeny Afineevsky, has been awarded the Medal of the Cross of Ivan Mazepa by Ukrainian President Petro Poroshenko. Early this year Afineevsky already received Order of St. Prince Vladimir the Great from His Holiness, Filaret Patriarch of Kyiv & All Rus'-Ukraine. The film takes viewers behind the front lines of the Ukrainian uprising in 2013-2014.